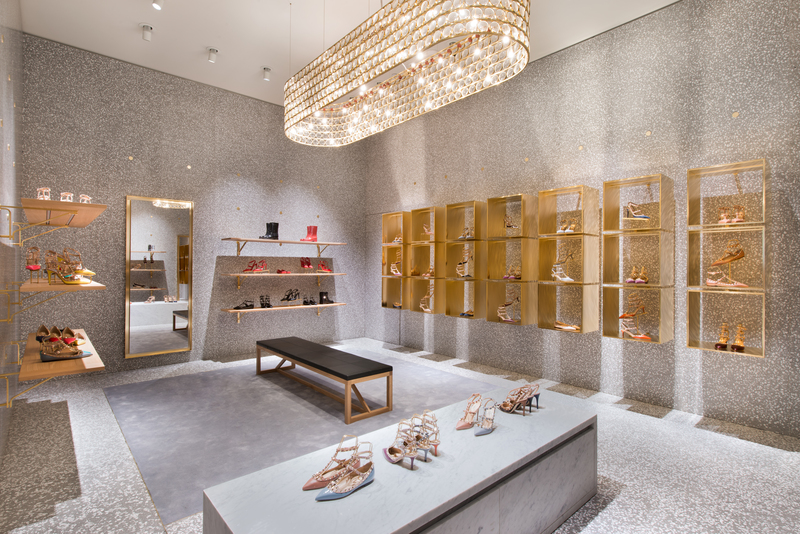 This summer, Valentino opened its new flagship in New York—a vast, modernist-inspired townhouse on Fifth Avenue, in the space that once housed legendary Japanese department store Takashimaya. 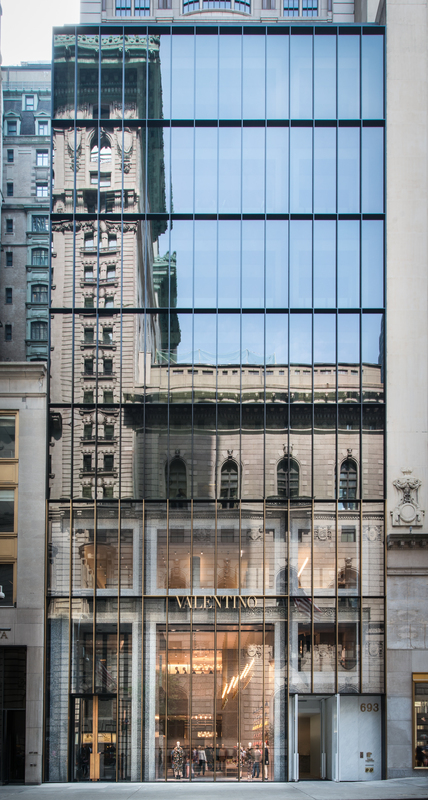 The new store is a mere hop, skip and a jump from the spot on Fifth where Valentino first set up shop in the city, back in 1970. The opening of that boutique marked the start of Mr. Valentino’s most New York-centric decade. He was a habitué of Studio 54 and Andy Warhol’s semi-regular dining companion. Jackie O. and Barbra Streisand came to his parties and shopped at the Valentino store. Diana Vreeland herself showed Mr. Valentino and Mr. Giammetti around New York, as Mr. Giammetti recounts in his book Private. 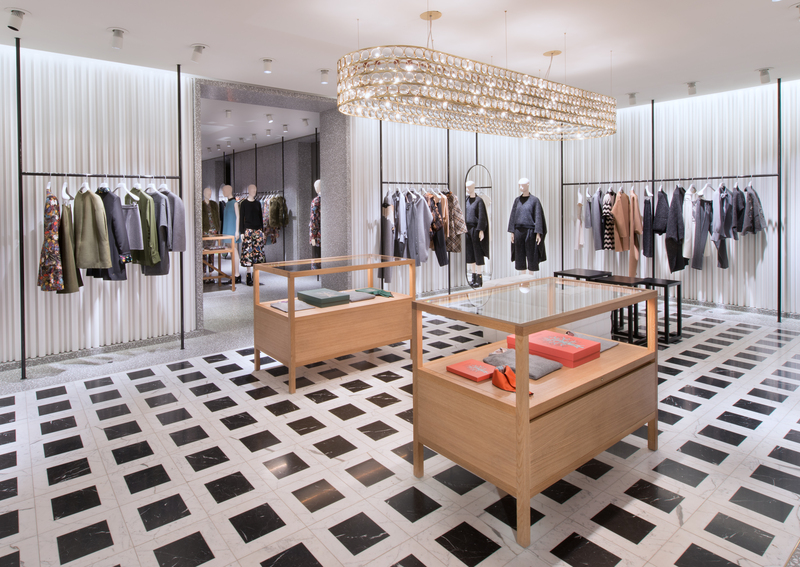 Valentino eventually moved its New York flagship farther uptown, to Madison Avenue. The location was very much in the neighborhood for such Upper East Side doyennes as Nan Kempner and Babe Paley, who were loyal clients of the house. 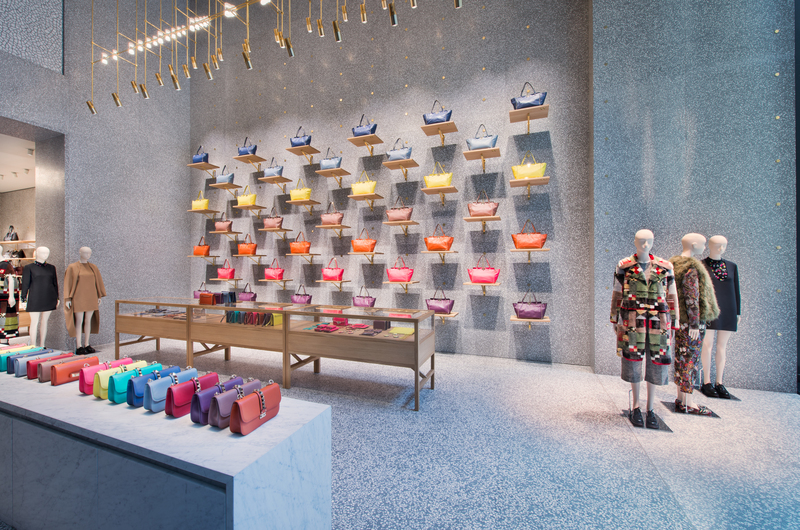 And in the meantime, Valentino expanded its retail presence throughout the United States, with shops in Dallas, Palm Beach, San Francisco, Boston, and several other major cities. Notably, in 1990, the Valentino store on Rodeo Drive opened in a new, larger location with a star-studded party. And the stars have been showing up there ever since. Today, Valentino has 116 stores worldwide, twelve of them in the United States. Two more are set to open this year, in Miami’s Design district and Aspen, Colorado.